The Laser Cutting Company has over 30 years experience in providing high quality, subcontract 2-axis laser cutting services for customers throughout the UK. With our large flatbed laser cutting capacity, we’re able to handle small or large batch sizes, cutting profiles to your exact specifications on a range of materials including mild steel, stainless steel and aluminium. Our 2D laser cutting services provide our customers with a cost-effective solution to cutting a variety of different metals in various different sizes and designs, from large basic shapes down to small intricate designs, meaning we can handle almost every job! Coupled with this, we’re able to provide further downstream savings for our clients with the implementation of simple design changes to incorporate tab and slot features, marking and etching. Customers are often unaware of these simple changes and their benefits, which include a simplified fabrication process. Reducing the time, cost and possibility of human error further down the supply chain. We strive to make our 2-axis laser cutting as cost-effective as possible and will suggest these features where possible. We own two Mazak flat bed laser cutting machines, suitable to accept sheet and plate up to 4m x 2m. We also have 6 more 2D flatbed laser cutting machines at our sister company Charles Day, as well as a range of other methods including fibre laser, plasma, flame and waterjet. All the materials we cut can be supplied with certification and full traceability, ensuring you get the best quality cut on the best quality material. To back-up our commitment to providing a quality service, all our laser cutting services are ISO 9001:2008 accredited. Our 2 powerful CNC laser cutting machines are running 24 hours a day, capable of laser profiling a wide range of metals in various grades and alloys. Our state-of-the-art laser machines are able to handle sheet sizes up to 4m by 2m and in thicknesses up to 20mm. Laser cutting has become an increasingly popular method of profiling sheet metals, this is due to it’s high precision, impressive cut quality and high processing speeds. Laser cutting has the ability to effortlessly cut through steel, not to mention a huge variety of other materials, with a precision that is lacking in more traditional areas of profiling technology. We offer laser cutting services to an extensive range of industries throughout the UK, ranging from one off jobs to vast numbers of precision laser cut parts. Our impressive purpose built state-of-the-art facilities include the latest in laser profiling technology including 5 flatbed CNC laser cutting machines – some of which have full automation allowing 24/7 operation. With the latest in CAD and computer controlled software operating our laser cutters, even the most complex shapes can easily be profiled in one process, removing the need for additional machining. Enabling much quicker lead times for your laser cut parts from drawing to delivery. What sets Charles Day apart from our competitors is not only our large laser cutting capacity but also the combination of different cutting technologies. 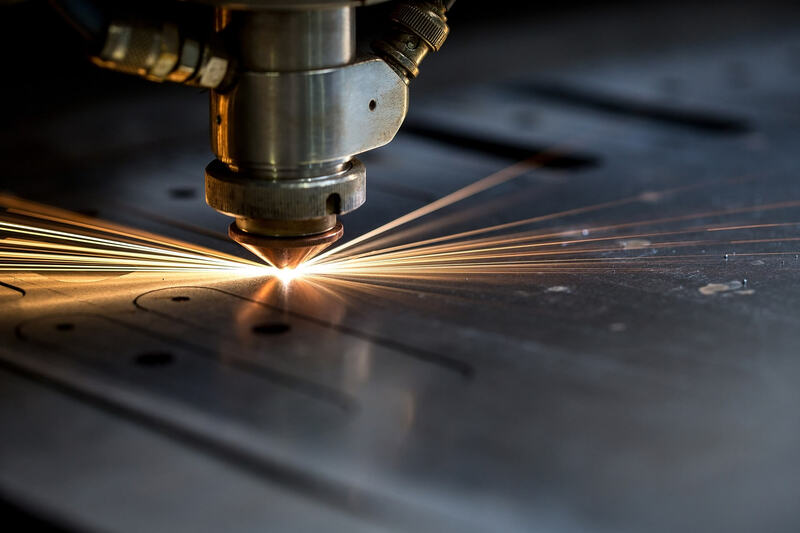 With traditional CO2 lasers as well as modern fibre laser machines under one roof, we’re able to provide a metal cutting service tailored directly to your requirements depending on what sheet metal you need profiling. Regardless of the size or complexity of your requirement, our sub-contract laser profiling services will be more than capable to handle your request. Should you have any specific questions, our experienced Sales Team are on hand to help.